Categorized as: About us, Africa, Asia, Education, Poverty Alleviation, Stories, Storytelling, Youth & Tagged as: Brienne, Empowerment, Indonesia, International development, Korea, Malawi, Opportunity, Teaching on May 23, 2015. Over the past several years, I have worked with different for-profit and nonprofit organizations, teaching in Malawi, Indonesia, and South Korea. These experiences broadened my horizons in a way I never expected and ignited a personal passion for international work. Each experience provided a beautiful glimpse into cultures vastly different from my own while also teaching me about my professional limitations and altering my perceptions of working abroad. 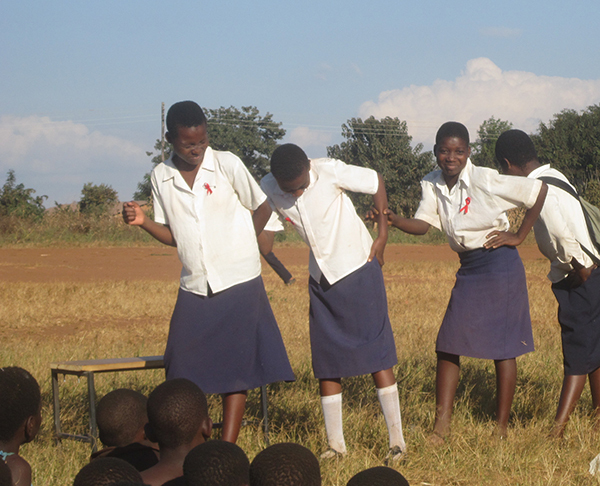 Teaching a class outdoors in Malawi. My first overseas work adventure was to Malawi, also known as the Warm Heart of Africa. 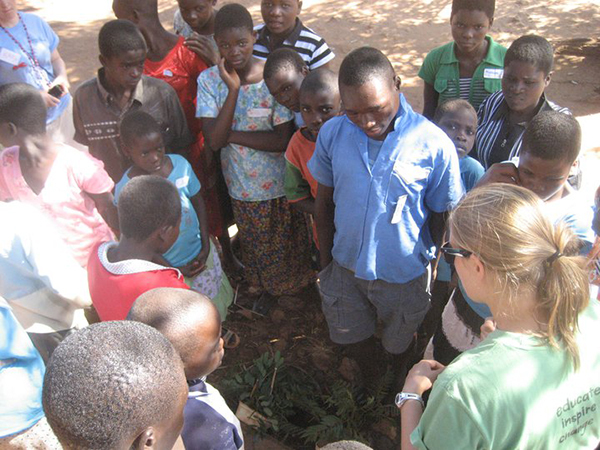 In Malawi, I worked for an amazing nonprofit, teaching all throughout the country. I spent the summer venturing into rural villages to carefully discuss HIV and deforestation, two of the most threatening issues in the area; it was my humble attempt to prevent these issues from escalating further. I was working mainly with teenagers from ultra-poor areas who, to my surprise, weren’t very different from American students. They wanted to play and do activities rather than sit in a classroom discussing uncomfortable topics with a strange-looking foreigner. They listened, but rarely participated in the class. The teaching facilities varied from school to school; I would usually have a classroom with a chalkboard, but I rarely had electricity and occasionally my class was held outside. To this day, my work in Malawi was the most rewarding work I have ever done. It was an amazing feeling to be on the ground, doing work that I could see was actually changing people’s lives. This experience, though challenging, ignited my passion for international work. I knew that making a difference through education and empowerment needed to be a part of my career overseas. A selfie with students in Indonesia. After finishing my degree, anxious for my next adventure, I took the next step in my career to the beautiful country of Indonesia. 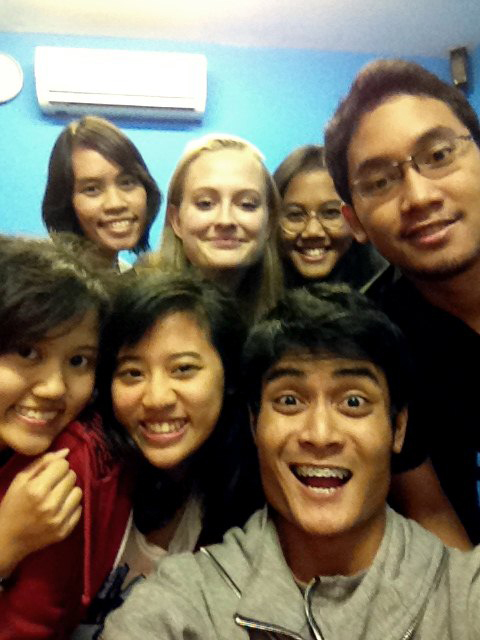 This time I was teaching English to young students near Jakarta, ages 10-15 years. Although I saw poverty on a daily basis, I was working for a private company, so most of the students I taught came from middle-to-high income families. Looking back, the students were much better behaved than I realized at the time. But they too were not extremely participatory unless I pushed them. I began to wonder whether this was a universal challenge to classroom teaching. The teaching facilities were more advanced than what I had in Malawi; our classrooms were equipped with whiteboards, electricity and, thankfully, air-conditioning. Overall, my biggest obstacle in Indonesia was my employer. The management team was demeaning and unsupportive, and when you are working and living in a foreign country, feeling disrespected and undervalued makes everything more challenging. I learned, however, that I am more patient and more productive when I am doing something I care about and something that will make a difference in the world. After returning from Indonesia, I spent time looking for a job more aligned with my future career in international development, but at the time, job opportunities were limited for someone with my education and work experience. But then, an opportunity to teach English in South Korea, and I decided to continue my cross-cultural journey. Students turn in homework in Brienne’s current classroom. I am now located in Daegu, which is an up-and-coming city within the small country. The institute I work with has a stellar reputation, and as I had learned from my experience in Indonesia, this is quite important. The students I teach range in age from 8-15 years old and all come from relatively wealthy families. Like most students across the globe, most do not participate unless it is absolutely mandatory and they get distracted easily. The worst teaching experience I’ve had, however, was when a young student took a book off my desk and threw it across the room while telling me he hated me because I am a woman. The student was from an educated family, so I didn’t expect to encounter such ignorance and poor behavior. I soon learned that in South Korea, respect is not just given to elders as most people assume. Specifically as a new teacher, it is something that has to be developed with each student. In this situation, the parents were informed and the student apologized to me in front of the entire class. I’ve never seen such a red face. 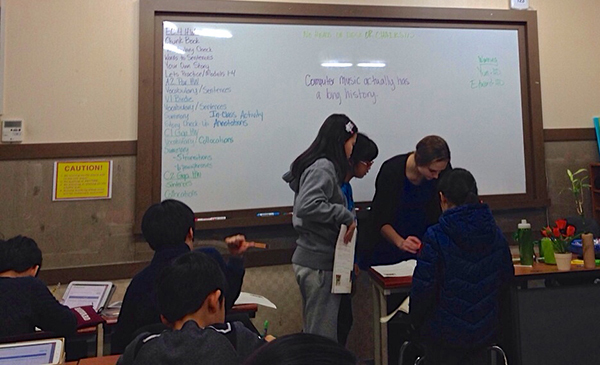 An average day for a student in Korea starts at 7:00 a.m. and doesn’t end until 10 p.m. My employer understands this reality, and we try to make our lessons as interactive and fun as possible for the students. The teachers get a lot of support from management in order to do this, which has been wonderful. Our teaching materials integrate technology, and we have heated and air-conditioned rooms with computers and televisions. South Korea continues to surprise me professionally and socially, and I look forward to what other information and lessons I will gather about this country. Each country in which I’ve worked has offered me new, life-changing experiences. I want my future to revolve around making the world a better place through empowering others. I am so grateful to have the opportunities to learn about traveling and about myself; as I have come to understand, such opportunities are not available to everyone. DONATE to directly to our partners advancing education for all by clicking the “education” option on our CAUSES map, here.